CopyTrans Manager is free alternative to iTunes, which allows you to fully manage your iPod, iPhone and iPad devices. This Windows software can be helpful in many needs you would like to do with these devices. Starting from the end of August 2010, CopyTrans Manager is fully compatible with iPhone 4 and the iPad. 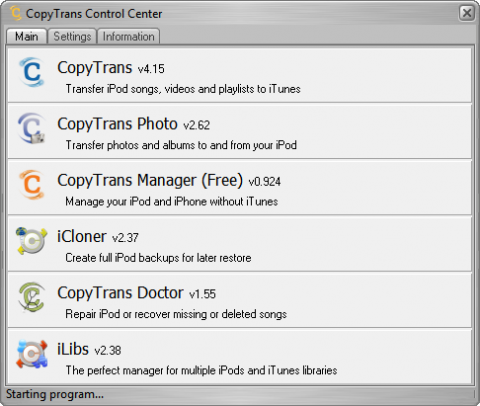 Using the CopyTrans Manager you can drag and drop media content to your iPod, iPhone or iPad devices, including the newest iPhone 4. You are able to delete the tracks or create playlists if you need. There is also automatic album artwork searching. 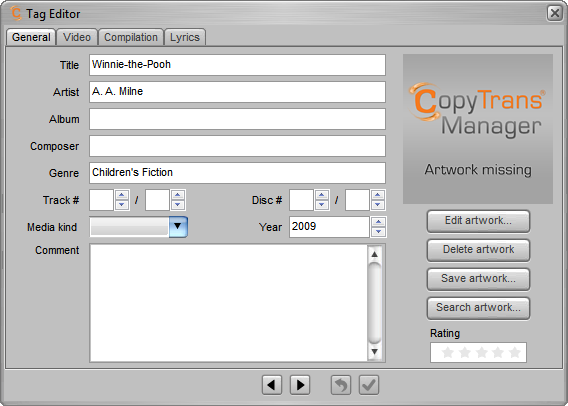 CopyTrans Manager can be used to edit the information like album’s name, artist’s name, genre and other. The newest version brings playlist managing on iOS4 devices without having to open iTunes. If you like portable solutions, you will welcome that CopyTrans Manager can be copied to the USB sticks or to the iPod/iPad in disk mode. This means you can have it wherever you go together with your iPod/iPad/iPhone. 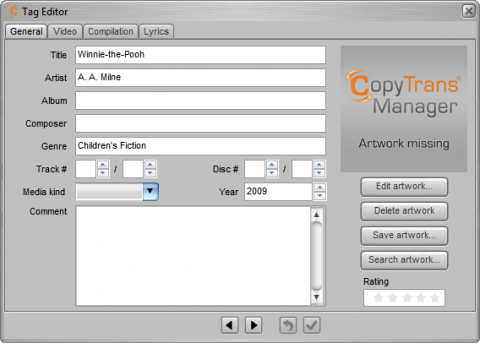 CopyTrans Manage can be used as a backup tool for your iPad. However I recommend another tool from the CopyTrans to create full backup of your iPads or iPhones. Check the iCloner. Download it from www.copytrans.net.